Begin Day 1 with a walk across the iconic Chain Bridge to Buda and get the Sikló (funicular) up to the Buda Castle complex. There are great views over the city (Pest) and of the Hungarian Parliament building from the hill, particularly from the Fishermens Bastion, a very fairy-tale-like looking structure. Immediately next to this is the impressive Matthias Church, the interior of which must be seen. Wander around the old medieval streets, such as Úri utca which has many restored façades, and check out the palace gardens and grounds. Changing of the guard occurs every hour in front of the Hungarian Presidential Palace. You could spend the entire morning if not more taking in this picturesque, although touristy part of Budapest. In the afternoon head back over to Pest and chill out for a while in the Gozsdu Udvar courtyard where there are some nice shops, cafes and market stalls. Check out the colourful Dohany Street Synagogue in the Jewish Ghetto, including the unique memorial tree in the garden. A little further north is one of the largest and most recognisable sights in the city, St. Stephen’s Basilica. Spend the remainder of your day walking along trendy Andrassy Ut. Look up at the buildings and take a peek inside the State Opera House. The views you would have seen on Castle Hill are great, but even more impressive is the view from the Citadella on Gellért Hill. You can get there via a steep walk or by catching a tram which will drop you close to the top of the hill. Try to not mind the numerous tour groups and buses which always make briefs stops here. Also check out the Liberty Statue whilst up there. You can relax afterwards at the Gellért Bathhouse in the Gellért Hotel at the bottom of the hill, Budapest’s classiest thermal bath. Alternatively, you could check out one of the city’s other baths: Széchenyi (in City Park near Heroes Square), Kiraly or Rudas baths. Take your time and enjoy the experience! You could spend hours there. Either before or after your visit to a thermal bath, check out the Grand Market Hall next to the Liberty Bridge. It is essentially a food market in an impressive building with colourful roof tiles similar in style to the Matthias Church. In the evening head to Oktogon and dine in Liszt Ferenc Ter where there is no shortage of selection for great restaurants and bars to spend your evening. 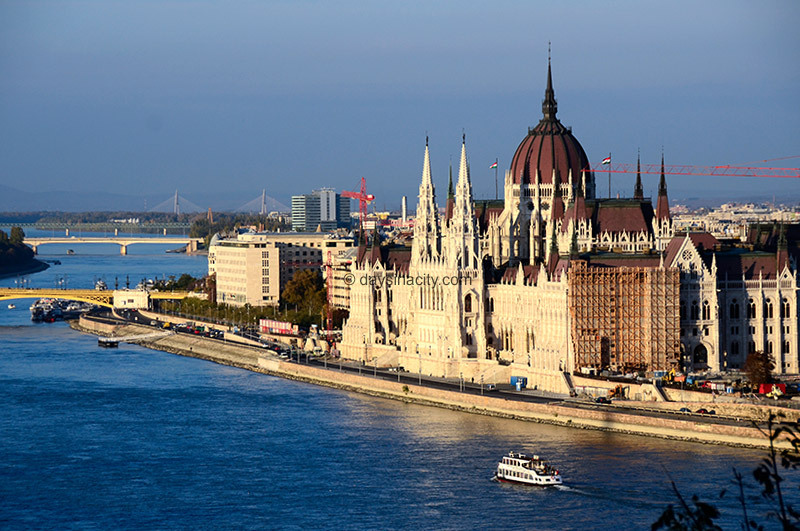 You’ve seen the Hungarian Parliament Building from across the river, but taking a tour of the interior and seeing this grand landmark up close really makes you appreciate it’s incredible architecture even more. If the weather is nice, walk over to Margaret Island which lies in the middle of the Danube river between Buda and Pest. It’s a great place to go for a walk, jog, rent a bike, go swimming or just relax in the sun in summertime. Spend a bit of time wandering down Vaci Utca, one of the city’s main shopping strips which has a combination of big international names, local crafts and the typical souvenir stores. Most restaurants around here are known to be tourist traps though. In the late afternoon, for a different perspective of the city you could head on a Danube boat trip or dinner cruise. It’s worth walking by the riverside and seeing the Chain Bridge at night either way as it is a spectacular sight. Read the Globetrotters itinerary for Day 1, however consider spending the majority of your day at the many sights within the Castle complex. There’s plenty of other sights for art buffs such as the National Gallery. 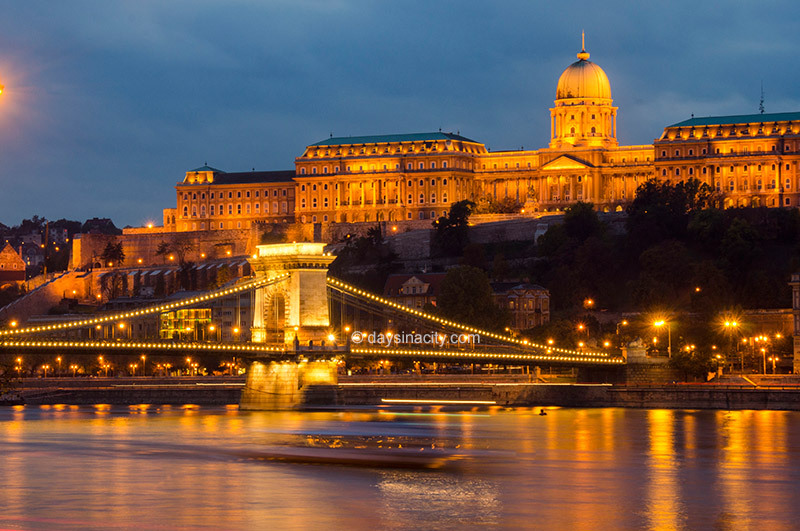 History buffs would enjoy the Military History Museum and underground Buda Castle Labyrinth. See the Vacationers itinerary for Day 3, however as this is a fairly slow-paced and relaxing day, if you haven’t yet had a chance to visit the Jewish Ghetto or wander along Andrassy Ut, you’ll probably have time today to catch up on what you missed out from Day 1. A history buff may be interested in the House of Terror museum along Andrassy Ut. Head over to Heroes’ Square. Art buffs have two museums on both sides of the square that may take their interest: Museum of Fine Arts and the Kunsthalle (aka. Műcsarnok) for modern art. On the other side of the city, there’s the Palace of Arts (not to be confused with ‘Palace of Art’) with the Ludwig Múzeum and National Theatre. History buffs really keen on seeing some communist statues can visit Memento Park, though it is a fair way out of the city. Alternatively, for a more detailed and informative visit of the Jewish Ghetto, join a walking tour. For families or science buffs, there’s the Budapest Zoo with Botanical Garden not far from Heroes’ Square. Also for families in the summertime, there’s Aquaworld. 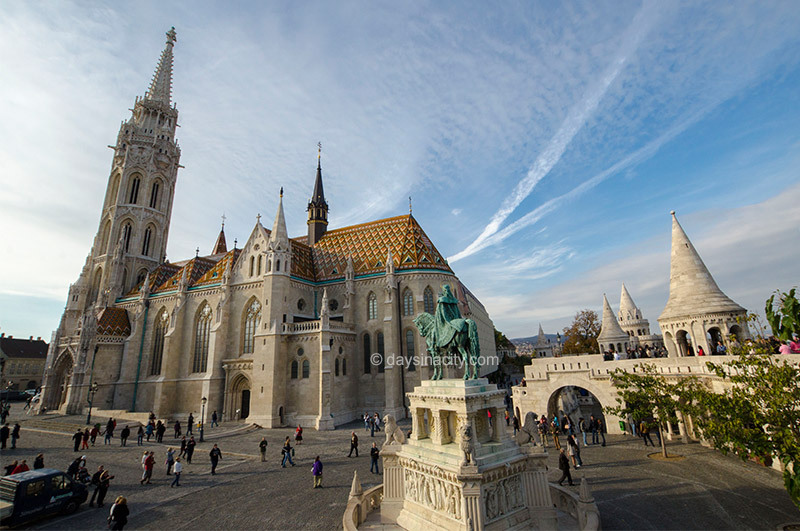 How many days do you think a 1st time visitor should spend in Budapest?